Every Halloween, children of all ages chow down on hundreds of sugary treats, causing their blood sugar levels to skyrocket and their parents to wish Halloween was all about vegetables and fruits, instead of the artificial versions. As college students, we are still into Halloween treats like when we were young. 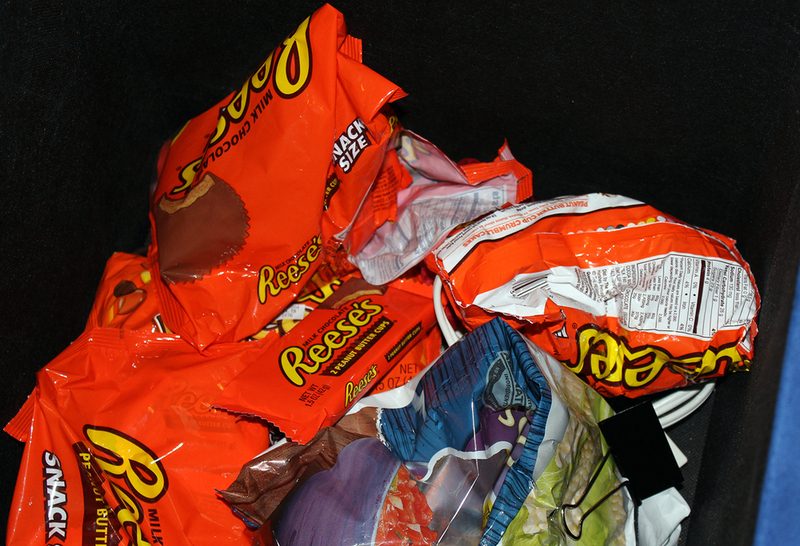 But now we know better than to eat an entire bag of Reese’s before we get stomach aches (well, most of the time). One of the newest candies to hit the confection scene is called UNREAL. Created by a 15-year-old, this candy shatters the typical idea of candy and replaces it with a vision of healthy, yet still delicious, candy. The candy comes in five different varieties, each one representing an less healthy classic. There are the chocolate-covered peanuts, similar to peanut M&Ms, with 16 grams of sugar and 200 calories, the plain chocolate candies (regular M&Ms), which have 19 grams of sugar and 190 calories, a Snickers and Milky Way look-alike, with 19 and 17 grams of sugar, respectively, and finally a Reese’s Peanut Butter cup knockoff, coming in at 11 grams of sugar. Some of the healthier options (relatively speaking) when it comes to traditional candy are Three Musketeers, York Peppermint Patties and Peeps Pumpkins. If you’re having a Halloween party this holiday season, try making this healthy(er) recipe. I mean, it is Halloween after all. We deserve to have a little fun, right? And, as a seasonal centerpiece for your table, try making these. Your guests can take them home and eat them too. Whether you try to keep this Halloween slightly healthier than normal or just go for the usual junk, enjoy your night of tricks and treats!